Helen Grant was invited by owner Tim Licence who was keen to meet her during Fairtrade Fortnight when campaigners and businesses have been calling for people to get behind Fairtade to drive much-needed change for farmers in developing countries. 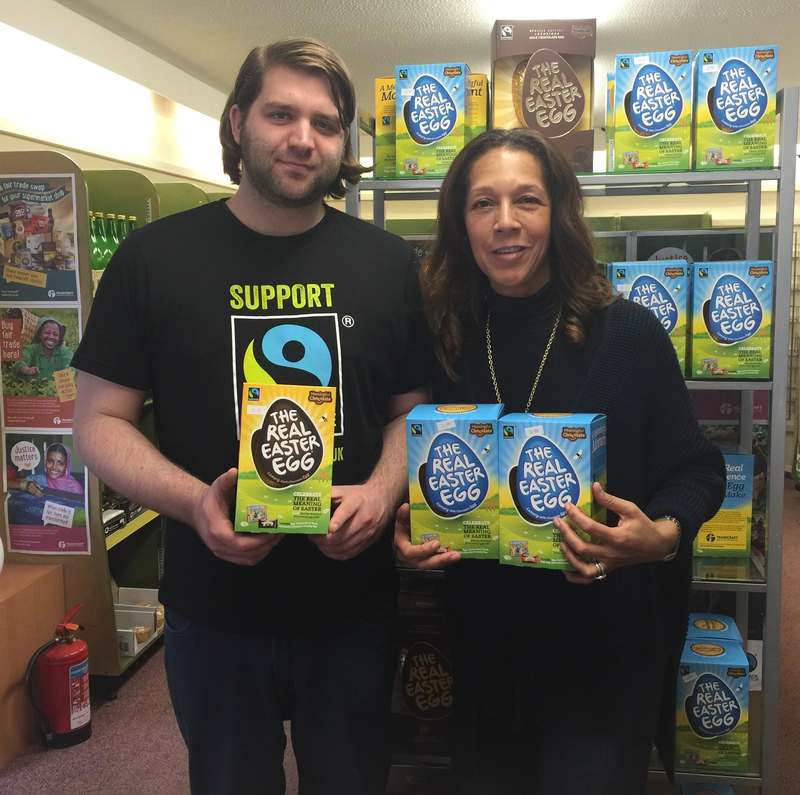 As Maidstone's only shop that specialises in Fairtrade, Tim was delighted to show Helen the range of products he stocked. He highlighted Fairtrade soft drinks, including Ubuntu which was the UK's first Fairtrade Cola. Mr Licence stressed the importance of the drinks because many soft drinks manufacturers use cane sugar which is farmed in developing countries where workers need protection from exploitation. Helen enjoyed learning about the shop and even purchased a Divine Chocolate selection box, a company which she recognised from the Houses of Parliament canteen. "It's really important that when the Government negotiates Brexit terms and future trade deals that farmers in developing countries are thought of so they can trade their way out of poverty. It's been a pleasure to have met my local MP to talk about life as a shopkeeper and Fairtrade."